Emotions ran high in Richmond, Virginia, Monday as gun control and gun rights activists held rallies and lobbied lawmakers. Nearly 100 gun-related bills have been introduced in the 2016 legislative session. Gun rights activists crowded the hallways of the General Assembly building, wearing blazing orange stickers reading "Guns Save Lives." Some of the demonstrators carried handguns in holsters on their hips. Gun owners are especially upset about two recent changes. In October, Gov. Terry McAuliffe issued an executive order banning the open carrying of guns in state office buildings. (The General Assembly building is exempt). Gun rights and gun control activists lobbied lawmakers in Richmond on Monday. News4's Julie Carey reports. "CHP [concealed handgun permit] holders are the most legal, checked, vetted people who own firearms," said Mark Thompson, who had never before attended a lobby day. He said the governor's executive action thwarts any hope of compromise between gun owners and gun control advocates. "If you want to talk to someone, don't stab 'em in the back," he said. Additionally, Attorney General Mark Herring announced just weeks ago that Virginia would no longer recognize out-of-state concealed handgun permits. Gun owners worry other states will now stop honoring their permits, making interstate travel difficult. A gun owner from Arlington brought a sign to the rally reading "Impeach Herring" to express her discontent. "Every state we traveled through by car, we were recognized. Now that's no longer the case," Christine Boes said. A bill from Fredericksburg State Sen. Bryce Reeves would reverse the governor's action and require Virginia to honor concealed handgun permits from all states. "We will not stand for any more encroachment on our Second Amendment rights," Reeves said to cheers. 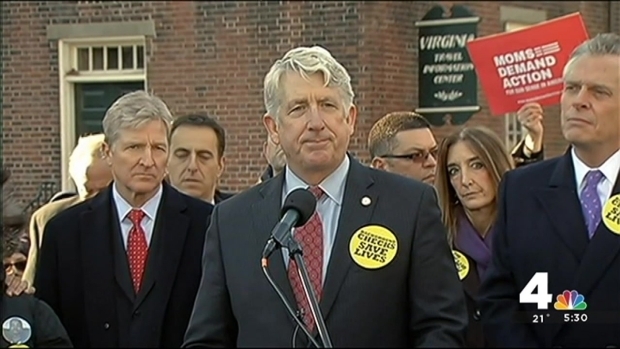 McAuliffe and Herring got huge cheers later in the day, when they promised to continue their push for universal background checks on anyone purchasing a gun. "It is our goal to make Virginia the safest state in the United States of America," McAuliffe said. That plea was underscored by the parents of Alison Parker, the 24-year-old Roanoke journalist shot and killed in August on live television. "Even when we hear 'Nothing could have saved your daughter,' we are not deterred from what we must do," Barbara Parker said with her husband, Andy, at her side. The mother of Joseph Bose, the 20-year-old Hampton University student shot and killed in Alexandria in October, also pushed for stricter gun laws. 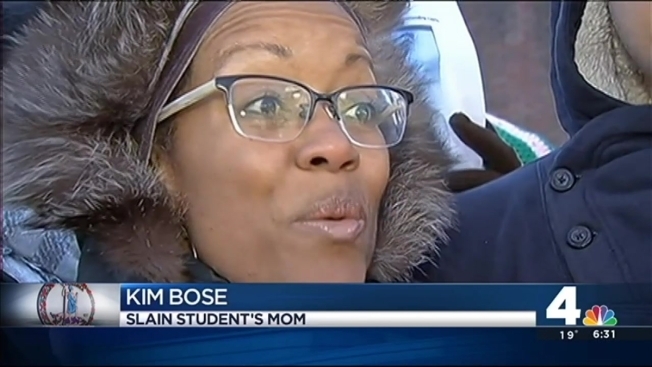 "I just want people to know that they've got to fight for this because they don't want to be the next ones," Kim Bose said. Both sides are likely to see little gain out of the 2016 legislative session. Republicans control both chambers of the General Assembly while McAuliffe wields a veto pen and has promised to use it on gun-related legislation he opposes.